This tote bag is the perfect way to share your patriotism. 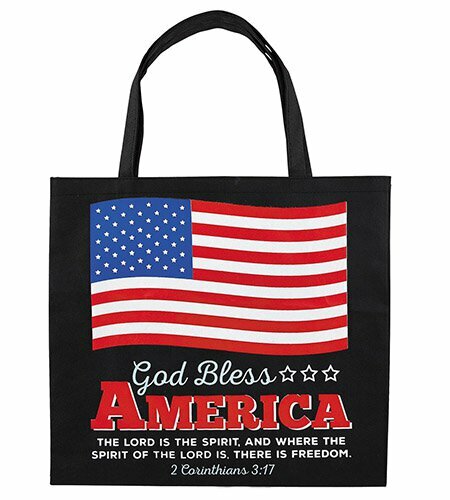 Includes a full-color United States flag, the bold wording God Bless America and the bible verse 2 Corinthians 3:17 - The Lord is the Spirit, and where the Spirit of the Lord is, there is freedom. Value priced for give-aways during Veteran's Day, Memorial Day and Fourth of July.